Let’s talk about how we somehow made it to being 21 years young. 1997 was the beginning of time for us and we haven’t stopped since. We’ve had bugs crushing life and windscreens, a coning of the Sky Tower, a remote controlled large monster truck and some sick golf ball golf carts, (that were definitely harmed in the making of that video). So, to celebrate all our glory, we’re giving you guys the chance to win some money off us. We have $100,000 up for grabs and we need you to grab what you can of that giant pool of money. 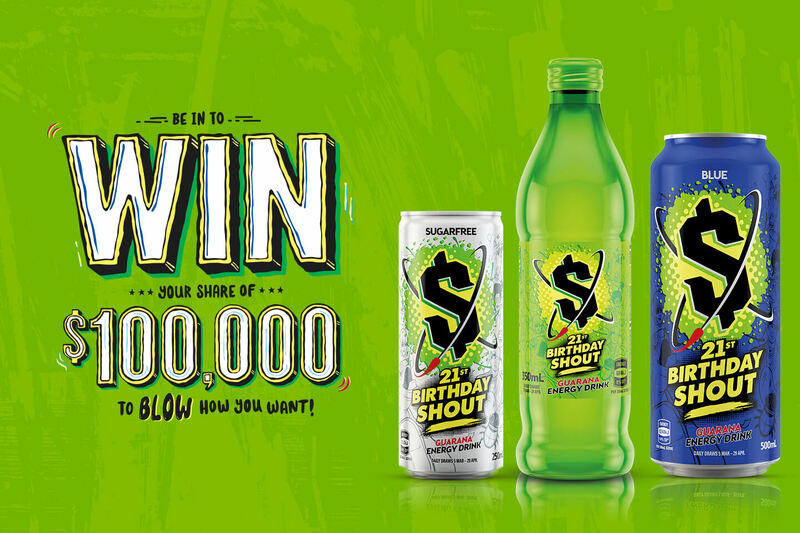 All you need to do, is get a specially marked V, text in the code and you’re in to win a share of cash money. If you're keen to hear about some of the epic stuff we're up to from time to time, click here and sign up, plus you'll have the chance to win some other rad prizes. Check out the promo terms and conditions here.